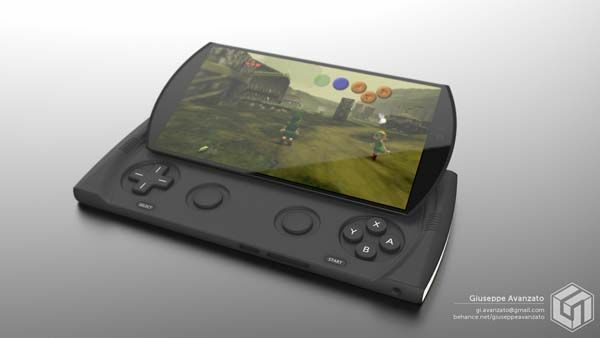 The Nintendo Plus delivers a pretty cool combination of smartphone and handheld game console. Like the idea? 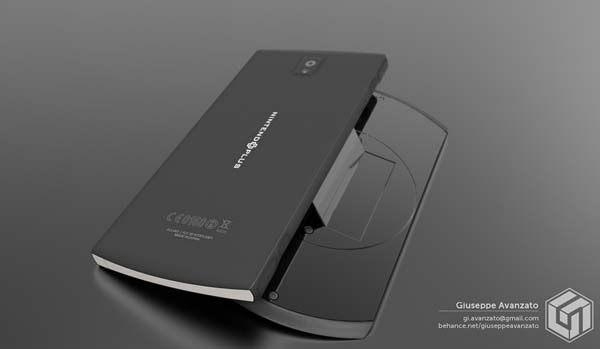 Let’s keep going for the concept phone. 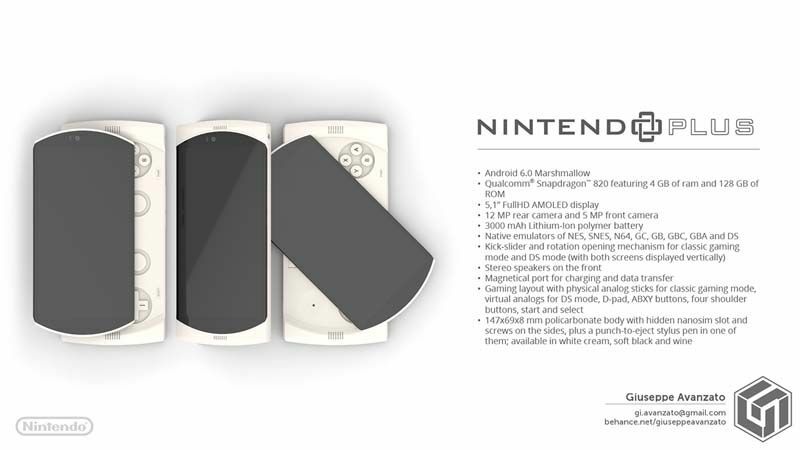 Giuseppe Avanzato, an Italian designer designed Nintendo Plus, a concept smartphone inspired by Nintendo. 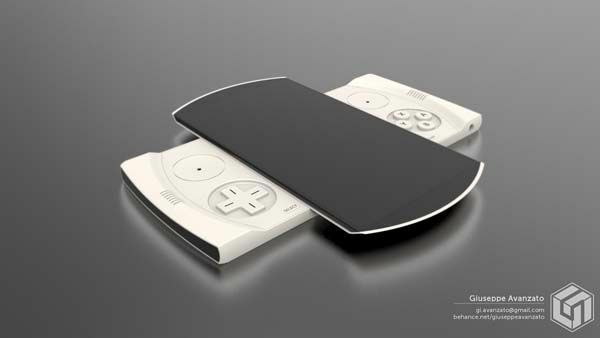 As we can see from the images, the concept phone shows off a handheld game console integrated appearance. Using its D-pad, ABXY buttons, analog sticks and four shoulder buttons, you can use the smartphone to play lots of video games from NES, SNES, N64, GC, GB, GBC, and GBA as well as DS game consoles. Furthermore, the smartphone runs Android 6.0 Marshmallow OS, so with the help of its rotatable 5.1″ Full HD AMOLED display, you can not only play Nintendo’s games, but also enjoy all Android apps and games. 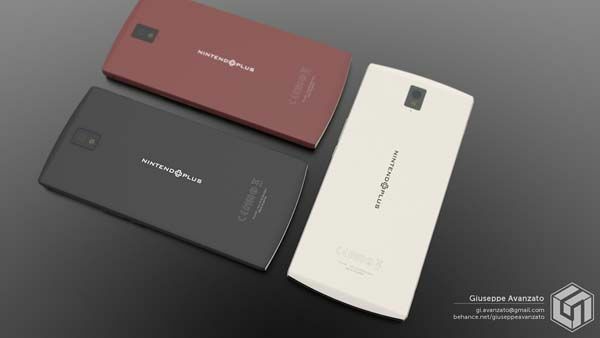 Moreover, the Nintendo Plus also comes equipped with Qualcomm Snapdragon 820, 4GB RAM, and 128 ROM in order to deliver high performance and fast response. 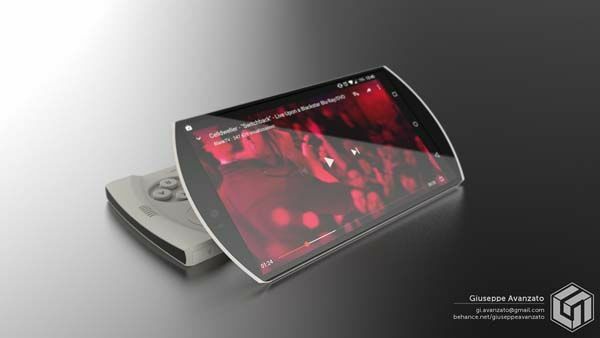 In addition, the concept phone also has a 5MP front camera, a 12MP rear camera, stereo speakers on the front, magnetic port for charging and syncing, and 3000mAh rechargeable battery. 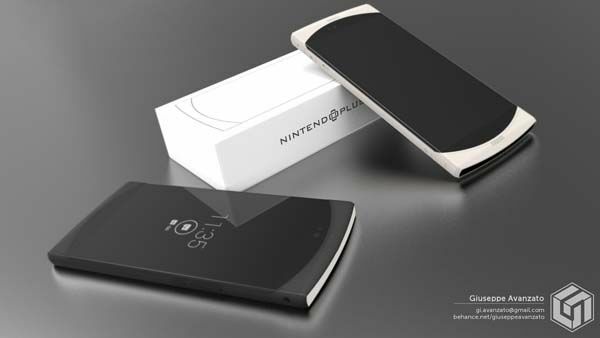 However, the Nintendo Plus is still a design concept. 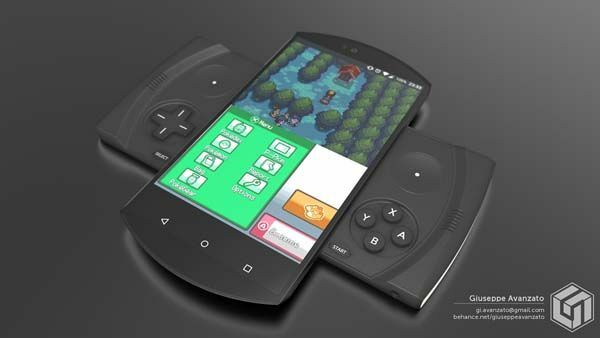 We have no idea whether Nintendo has any plan to make its own smartphone. BTW, also don’t miss the concept portable wireless projector and more related cool stuff by following tags. hope @Sony will return their Xperia Play. but it’s nice to see Nintendo is having this one. 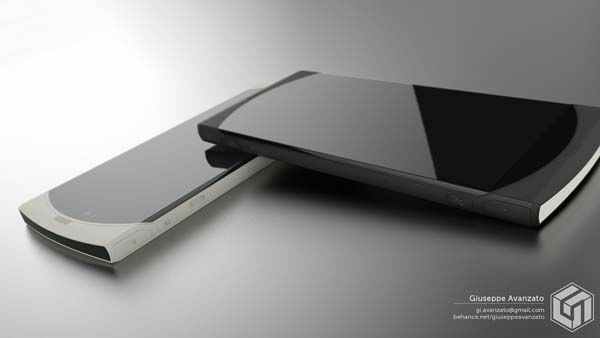 Sony had that concept with the Xperia but maybe this one will catch on. Sure, the design looks more sleek. 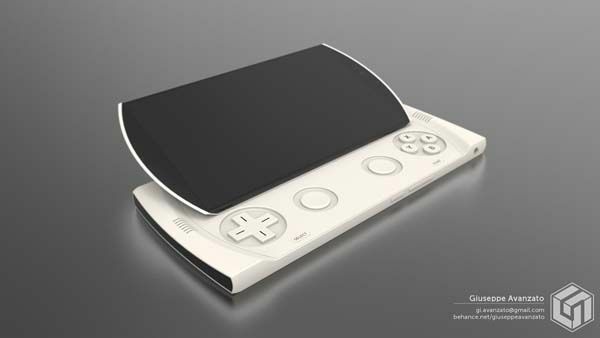 Lovin that design,that could be the next big console.